Snapchat Launches Video Sunglasses and Becomes Snap Inc.
LOS ANGELES — Snapchat has a new corporate name — Snap Inc. — and a new line of business: video-enabled sunglasses, to cost $130, designed for uploading 10-second clips to the social service. The new video glasses, called Spectacles, are expected to go on sale in limited quantities later this fall. 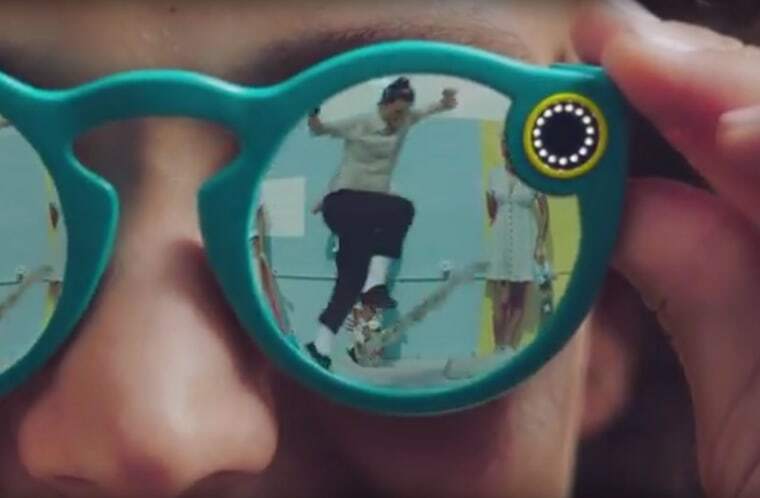 The devices connect directly to the Snapchat app via Bluetooth or Wi-Fi, to transfer videos captured with a 115-degree field of view (designed to match human visual perspective, according to the company). "Snap Inc. is a camera company," its says on its newly launched website. "We believe that reinventing the camera represents our greatest opportunity to improve the way people live and communicate." CEO Evan Spiegel, in a blog post Saturday, said the name change was necessary because the company has expanded beyond the Snapchat app and service. "Now that we are developing other products, like Spectacles, we need a name that goes beyond just one product — but doesn't lose the familiarity and fun of our team and brand," he wrote. Snapchat has more than 150 million daily active users, and the Venice, Calif.-based company sees the video sunglasses as helping to fuel even more video content through the messaging and media platform. Wearable computing devices have failed to take off: Google, for example, last year killed off its consumer Google Glass products, which included video-recording features. But those $1,500 devices were essentially computers for your face, whereas Snap's Spectacles are less than one-tenth the price and designed to simply capture short videos. Snap has been quietly working on Spectacles for the past several years, and the company boasts that it's one of the smallest wireless video cameras in the world. The glasses are designed to have a full day of battery life to let users take multiple Snaps. They're are available in three colors: black, teal and coral. Videos recorded and shared via Spectacles are in a circular format, rather than rectangular. That's intended to more closely reflect the way people actually see, according to Snap, and it also means the videos can be viewed in any orientation on a smartphone. The Spectacles have a ring of lights around the camera lenses, which light up when a user is recording video. The Spectacles charge in their case (like Apple's recently introduced AirPods wireless earbuds).